For thousands of years the shortest day of the year, and the longest day, meant a time for reflection, a time for giving. A time to look back as well as look forward. The year is marked in four thirteen week segments. 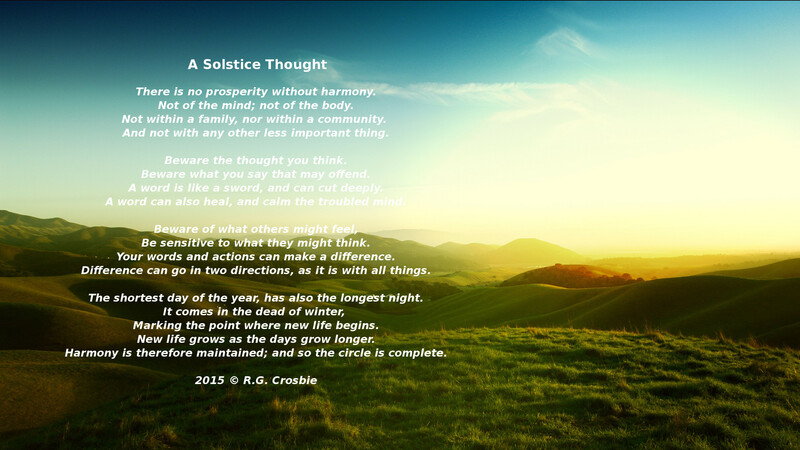 The solstices and the equinoxes. We wish you harmony and prosperity in all things and all ways for the future. Previous PostPrevious A man cannot live with his mind and heart in one place…….